And yes we are always here to answer all your questions! We love 💕 it! And will continue to do our best to connect you with the most current information and trusted sources. 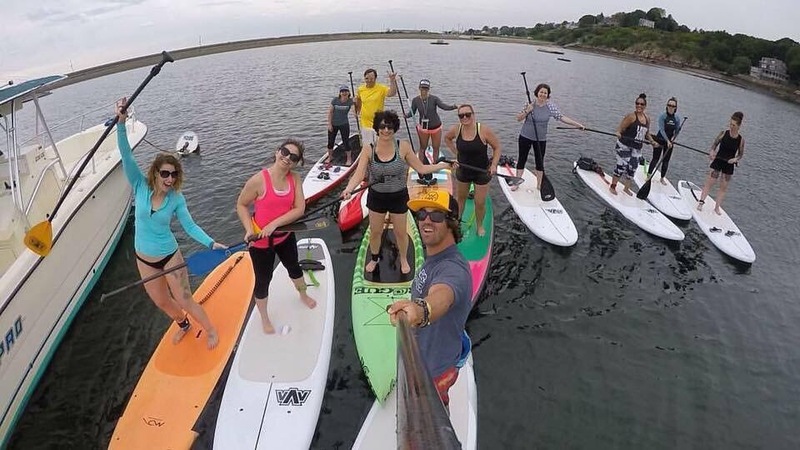 If you are just getting into the sport of SUP for fun, own a Rec board, maybe purchased your first race board or maybe you have been racing for a while. Wherever you are at, You will definitely take something away from this read. I sure had a great time researching, learning and updating myself more on Finz. I might just even have to add a new one or 2 to my own collection. Some of my colleagues and friends sent in videos, photos and some wrote a few words. Enjoy! At the end of the day #SupIsForEveryone, this is a new hashtag that caught my eye while fin talking with Jermaine Vaine. Thanks for the awsome hashtag and here is a few of his highlights on fin talk. “Picking a fin for a standup paddle board is pretty difficult due to all the variables and what each fin design gives you in return. Having the correct fin could be the difference of finishing on the podium or fighting to stay dry. 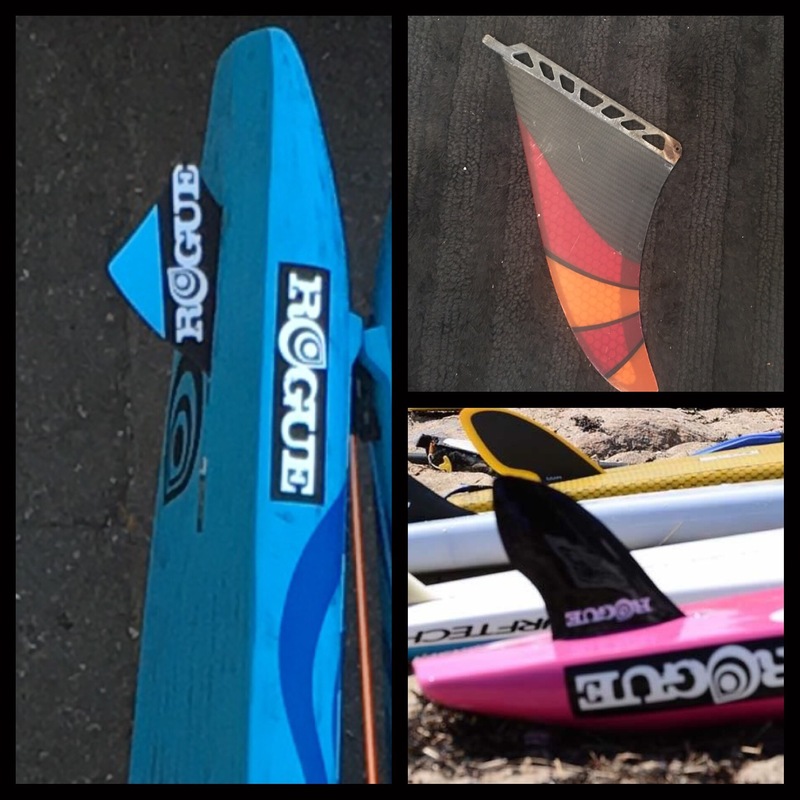 This is why there are multiple fin companies and each company having many different designs and styles. One of the leading innovators and designers is Larry Allison who does great tutorials on fin design and fin placement. With each race fin being between $50 and $100, this makes having multiple fins an added cost to the sport. Fins are not unique to SUP. In fact, most watercrafts have some version of this. A sailboat for example has a keel, dagger board/center board beneath the boat to help the boat track straight. The wind would push a sailboat sideways if it didn’t have a keel but with one, it converts the sideways motion from the wind into forward motion. This is the very rudimentary aspect of what a keel of a sailboat does. It goes to say if you paddle without a fin, you will quickly find out that you will have to switch sides after each stroke to be able to paddle straight. 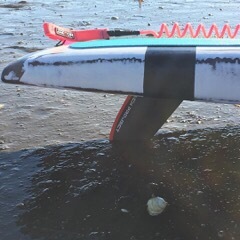 Once you add the fin to the SUP, the water running along the fin converts the energy out the back of the board. Height will have a direct relation to the surface area. More surface area better tracking and stability. The base width, just like the height will have a direct relation to the surface area. A wider base will track better and narrower base will pivot easier. The rake of a fin is how far back does a fin exceed pass the end of the base. This is one of the most critical elements dictating fin performance. More rake will help the performance and turning ability. Having less rake will provide you to pivot easier(buoy turns) and more called a downwind fin. Having less rake may increase drag and the chances of snagging seaweed and other unwanted objects. The last dimension is area, which is the overall surface area of the fin. If the fin has more surface area then you may see increased stability. Different fin designs are specific for certain conditions. Some fins are made for flat water, others for downwind or open ocean paddling. Knowing which fin design to pick and for which race might be intimidating. Let’s break it down. Another fin design is an upright concept or less rake. This design is best for pivoting or paddling in a down winder. This fin shown is called the Hawaii Down Winder by Future Fins. When the fin has less rake, it may be subject to more drag and snagging unwanted floating debris like seaweed. The downwind style fin is a more agile fin, which will help with keeping the tail of the board loose. Having a loose tail will help to adapt to ocean conditions in a downwind situation. While paddling in a downwinder, you will have to change direction to the left and right to be able to catch each bump. But having a fin that is more agile will reduce stability in most cases. So now take a wide base for tracking purposes, a short height to reduce drag but an increase rake to increase the agility and performance. With that combination you get what Future fins calls a Carbon Keel. 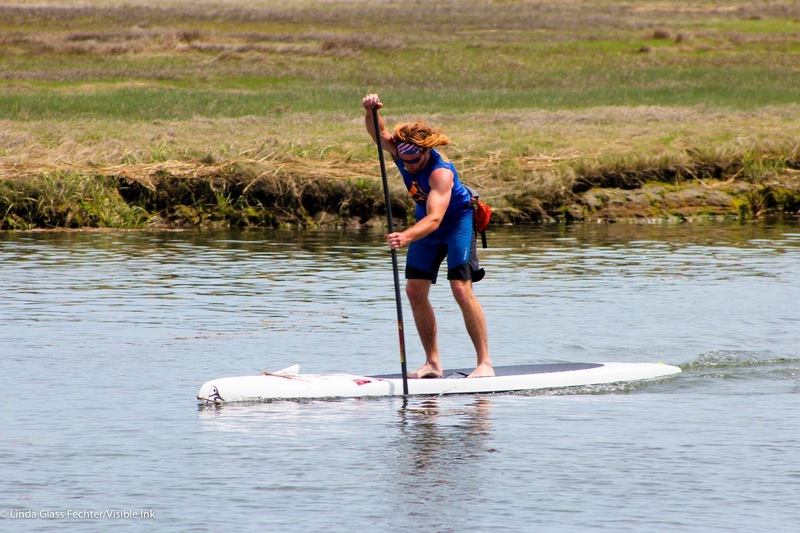 You see more experienced paddlers using it due the possible decrease of stability. With a shorter height of the fin, a larger or taller paddler will feel a difference. A tall person has an elevated center of gravity compared to a shorter person. With a higher center of gravity you’ll feel an advantage of having a longer fin. The advantages of this fin is that it allows the water flow be closer to the board which will increase the speed. The increase of speed is from directing the flow of the water out the back of the board more efficiently. Over the years, the trend in board design is that they are getting narrower and narrower. With a narrow board comes the inherent stability issues but also increases speed. Board and Fin designers are working on how to make a board more stable without sacrificing speed. One popular addition is a forward fin or foil just forward of your standing area. The fin does not have to be large for you to notice a difference. The extra fin will help in tracking and traverse stability of the board. With having a forward fin on a wider board then you can reduce the size of your fin on the tail. The two-fin set up has been popular with the unlimited SUP’s because its helps keeping a 18 foot board straight. Here’s a great clip, sent to me by our Starboard Badass Rep, Tony Weaver. 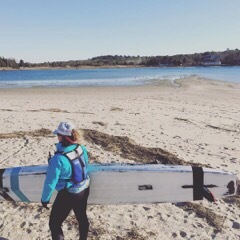 Here’s a few words by Cape Cod Sup Girl aka Miclle Currier.